There’s no better way to end a trip than spending a relaxing day in a city originating from the 11th century. Bremen, Germany is a city straddling the Weser River in northwestern Germany, and so it originated as a marketplace for maritime trade. 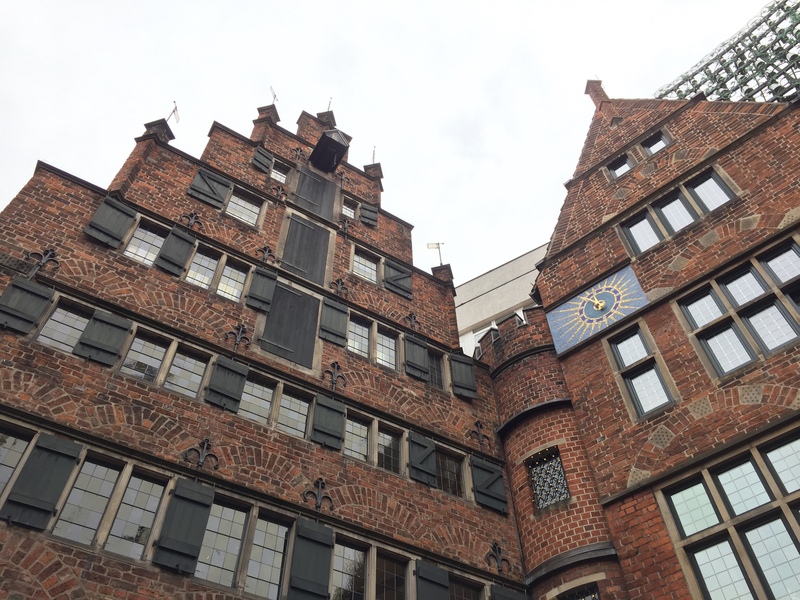 More specifically, Bremen was part of the Hanseatic League, a group of cities throughout Europe that allied together to protect each cities economic and diplomatic privileges. These origins could be seen as we spent the day exploring. We began the day by walking through the Sunday morning marketplace and noted how Europeans purchase food for the next day or two, which is vastly different from many American household. We then walked through the chapel, St. Petri Don, which was originally constructed in the 8th century as a timber cathedral. That cathedral was burnt down, and the now standing cathedral was constructed in the 11th century. 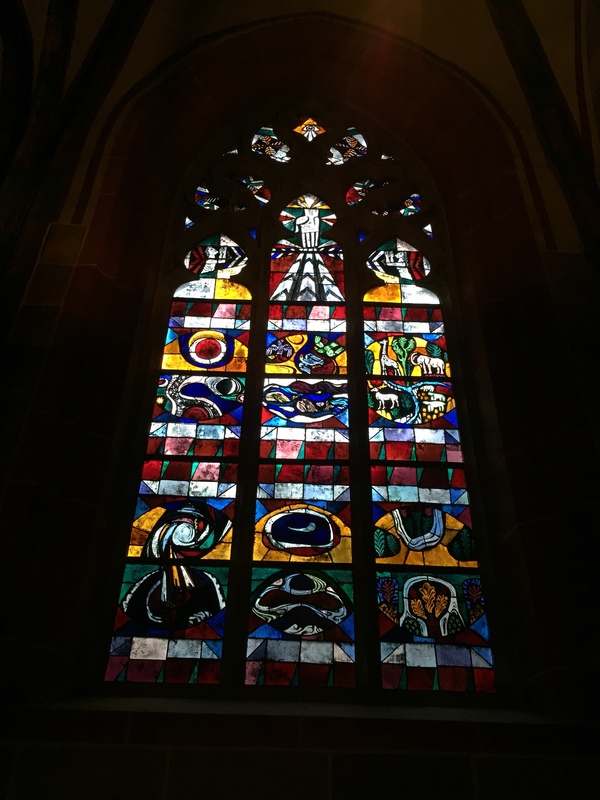 The cathedral had beautiful stain glass windows (pictured), and some of us even got to experience a small organ concert later in the day in one of the rooms of the cathedral. After the cathedral visit, we split off and each explored different parts of the city. 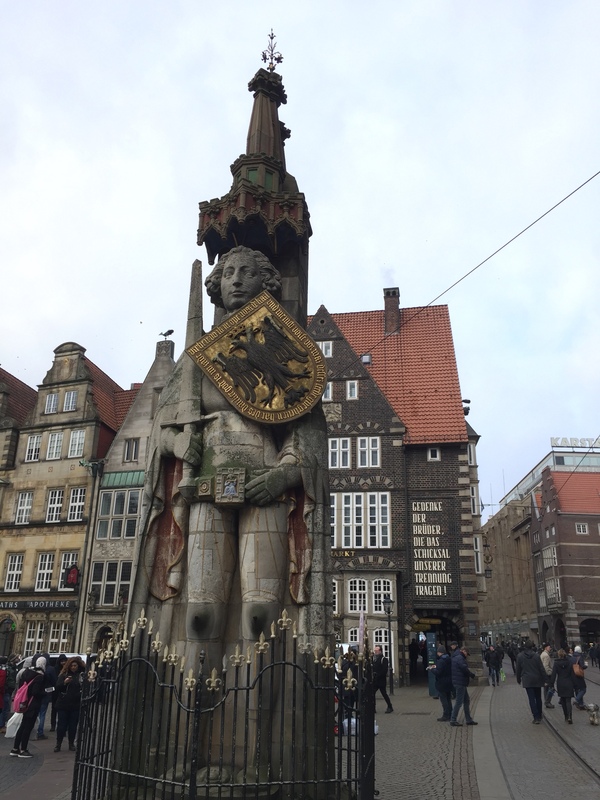 We saw things such as the Roland statue, erected in 1404 to protect the city of Bremen. Roland was a paladin for the Holy Roman Empire Charlemagne and is know in legend because of the Battle of Roncevaux Pass, which is ironically Charlemagne’s only military defeat. We also got to witness an interesting clock near the city square, which lasted much longer than we expected. 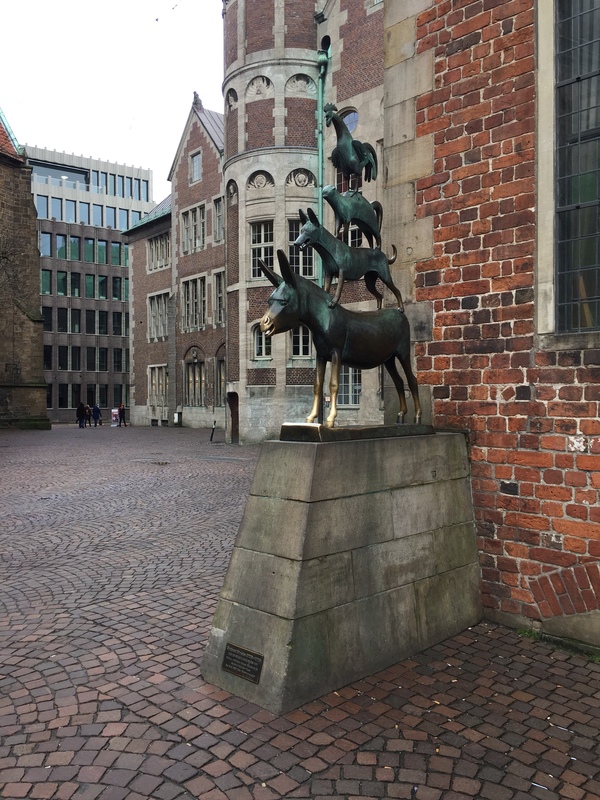 We were also able to view the statue of the Bremen City Musicians, a well known fairy tale about a donkey, dog, cat, and a rooster. It was a beautiful day in an authentic German city.